According to the \anbalís and the preponderant Shafi`i opinion, if a wáqif lays down a condition entitling him to exclude from the beneficiaries of the waqf whomever he wishes and to include others as beneficiaries, the condition is not valid and the waqf is void, because the condition is contrary to the spirit of the contract and invalidates it (al-Mughni and al-Tadhkirah). The \anafís and the Málikís consider the condition valid (Sharh al-Zarqáni and Abu Zuhrah). The Imámís make a distinction between the right to include and the right to exclude. They state: If he lays down a condition stipulating an option to exclude whomever he wishes from the beneficiaries, the waqf is void, and if the condition is that he may include those who would be born in the future among the beneficiaries, it is valid, irrespective of whether the waqf is in the favor of his own children or those of someone else (al-Tadhkirah). The Imámi and the Sháf`i schools say: if one creates a waqf in favor of someone and includes a condition requiring the payment of his debts and the provision of his maintenance from the proceeds of the waqf, the waqf and the condition are both void (al-Jawáhir and al-Muhadhdhab). In view of the mention above of the condition of option (shart al khayar) and the cases of waqf which are limited by a condition, it will be appropriate here to point out the difference between the fol lowing terms commonly used by Imámi Jurists: khayar al-shart and shart al-khayar. mutlaq al-'aqd and al-'aqd al-mutlaq. Shartal-khayar is involved where the executor of a contract makes an explicit mention of the word khayar (option) while executing the contract and thereby reserves for himself the right to use it. For in stance, he may say: "I sell this article to you and I shall have the option to annul the sale and revoke it within such and such a period." As takhayar al-shart, which is more properly an option that results from the non-fulfillment of a condition, the party executing the con tract makes no mention of it in the contract; rather, it is implicit in some condition that he lays down; such as where the seller says to the customer, "I sell this thing to you on the understanding that you are a scholar" and later on the buyer turns out to be illiterate. The non fulfillment of the condition gives the seller the option to avoid the sale and revoke it; he may either confirm the sale if he wishes or revoke it. The difference between the meanings of the two terms is obviously great. The difference between al-'aqd al-mutlaq and mutlaq al-'aqd will become clear when we understand the different forms of the contract. The kind of contract in which no conditions are stipulated is called al-'aqd al-mutlaq. Another kind is a conditional contract (al-'aqd al muqayyad), which may contain either positive or negative conditions. 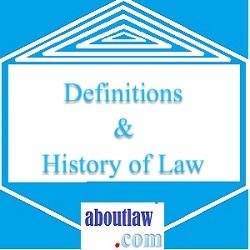 A contract in general, irrespective of inclusion of any positive or negative conditions, is mutlaq al-'aqd, a term which includes both al-'aqd a!-mutlaq and al-'aqd al-muqayyad. Accordingly, al-'aqd al mutlaq and al-'aqd al-muqayyad differ from each other, yet are two kinds that fall under mutlaq al-'aqd (like 'man' and 'woman' with reference to 'human beings. If a waqf is created in favor of sons, it will not include daughters, and vice versa. If it is created in favor of children, both are included and will equally share the benefit. If the waqif states: "The male will receive twice the female's share" or "they will both share equally" or "the female will receive twice the male's share," or states, "the women that I have married will not have a share in it," all these provisions are valid, considering that they are conditions laid down by the waqif. 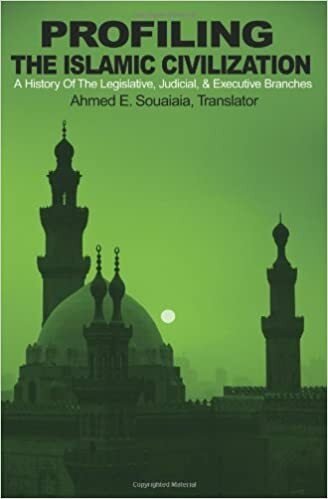 I did not find among the books of the five schools of fiqh that have been accessible to me any view which differs from what has been mentioned, excepting the one which Abu Zuhrah narrates on page 245 of Kitabal-waqf from the Málikís. 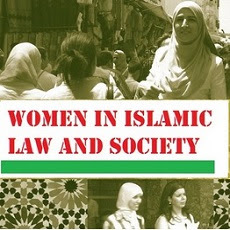 There it is stated: Consensus prevails among the Málikís that it is a sin to create a waqf in favor of sons to the exclusion of daughters, and to entitle someone to its benefit on condition of his abstinence from marriage; and some of them consider its sinful character the cause of its invalidity. I believe that the opinion holding the invalidity of the above conditions, as well as the opinion which includes daughters in the waqf when it has been created solely in favor of sons, have both been abandoned and carry no weight among the ~alikis. Though I have with me more than five works of the Málikís, including their voluminous as well as shorter works, despite my search I have not found in them any reference to this view. On the contrary, they contain the following observation: The words of the waqif will be understood according to the common usage and they are like the words of the Lawgiver with respect to the obligation of their observance. Indeed, it has been narrated from 'Umar ibn 'Abd al-'Aziz that he made an effort to include daughters in waqfs made in favor of sons, but he was not a Maaliki. Apart from this, if his effort proves anything, they prove his compassionate and humanitarian disposition. In the same was as the Jurists differ concerning the validity of some conditions, as to whether the invalid ones are just void or are void as well as invalidating, they also differ concerning the meaning of certain words, and among such instances is the case where the waqif says: "This waqf is in favor of my children (awladl),'' without making any further clarification. Here the question arises as to whether the words 'my children' includes grandchildren as well, and if they do, whether they include both the sons' and the daughters' children or the sons' children only. The preponderant (mashhoor) Imámi view is that the words 'my children' do not include grandchildren, although alSayyid al-'Isfahani states in Wasllat al-najat: "The word 'children' (awlad) includes both male and female grandchildren," and this is the correct view because that is what it means in customary usage, which is the criterion in this regard. The Sháfi`ís obsene: The word 'child' (walad) includes both sons and daughters, but it does not generally include grandchildren. But the words walad al-walad (grand child), according to them as well as the \anafís , include both the sexes (Fath al-~adlr and al-Muhadhdhab). The Málikís say: Females are covered by the word awlad, but not by the phrase awlad al-'awlad (children's children) (al-Zarqani). This ~iew of the Málikís is self-contradictory, because both the word awlad and the phrase awlad al-aw1ad are derived from the same root, w.l.d. How can it include both the sexes when used singly and only males when used in a construct phrase? The wilayah over waqf is the authority granted to someone for managing, developing and utilizing the waqf and for applying its yield for its specified purpose. This wilayah is of two kinds: general and particular. The general wil~yah is enjoyed by the wali al-'amr, and the particular one by any person appointed by the waqif at the time of the creation of waqf or by hakim al-shar'. The schools concur that the mutawalri should be an adult, sane, mature and trustworthy person. Rather, the Shafi'; and some Imámi Jurists include the condition of `adalah as well. In fact, trustworthiness and reliability (wathaqah), along with the ability to fully administer the waqf, suffice. The schools concur that the mutawali is a trustee and is not liable except in the event of breach of trust and misfeasance. The schools, except the Malik;, also concur that the waqif is entitled to grant himself the authority of administering the waqf, either alone or along with another person, for life or for a fixed period. He is also entitled to give this authority to someone else. According to Fath al-Bar'i, Malik has stated: It is not ~alid for a waqif to grant himself the wilayah, for then it may become a waqf in one's own favor, or the passage of time may lead to the fact of its being a waqf being forgotten, or the waqif may become insolent and apply it for his own benefit, or he may die and his heirs may apply it for their own benefit. But if there is no fear of any of these conditions arising, it does not matter if he keeps its administration in his own hands. The schools differ where the waqif does not grant anyone this authority, to himself or someone else. The Hanbalis and the Málikís observe: The authority of managing the waqf will rest with the beneficiaries provided they are known and limited, otherwise the hakim will exercise it (al-Tanq'ih and Sharh al-Zarqan'i). The Hanafis state: The wilayah will remain with the waqif even if he does not explicitly mention it (Fath al-Qad'ir). The Sháfi`ís differ among themselves, holding three opinions. The first opinion is that the wilayah will rest with the waqif, the second that it will rest with the beneficiaries, and the third that it will be exercised by the hakim (al-Muhadhdhab). The preponderant view among the Imámís is that when the waqif does not name the mutawali the wilayah belongs to the hakim, which he may exercise personally or appoint someone to it. Al-Sayyid Kaazim, in al-Mulhaqat, and al-Sayyid al-Isfahani, in al-wasilah, observe: This is correct in respect of public waqfs, but as to private waqfs it is for the beneficiaries to safeguard, improve, rent the waqf and realize its income without the hakim's permission, and this has been the practice. The Imámís say: If the waqif retains the wilayah over the waqf for himself and is not trustworthy, or gives it to a person of known impiety (fisq), the hakim is not empowered to annul the wilayah of either the waqif or the person appointed by him. This is mentioned in al-Allamah al-Hilli's al-Tadhkirah. Rather, the author of al-Mulhaqat observes: if the waqif provides that the hakim should have no say in the affairs of his waqf, it is valid, and if the person appointed by the hakim to administer the waqf dies, this power will rest with the beneficiaries or `adil individuals from among Muslims. The Hanafi author of Fath. al-Qadir (vol. 5, p. 61) states: If the waqif retains the wilaiyah with himself, in the event of his being un trustworthy the qad'i is bound to abrogate his authority. Similarly, if he provides that the ruler and the qdd'i are not empowered to abrogate his authority and hand it over to another, the condition is void because it opposes the rule of the Shari'ah. When the waqif or hakim has appointed a mutawalli, no one has any authority over him as long as he is fulfilling his Waajib duty. But if he falls short of his duty or breaches the trust reposed in him, so that his remaining would be harmful, the hakim is empowered to replace him, though it is better that he appoint, as observed by the \anbalís , a trustworthy and energetic person alongside the former. The Málikís permit its return to the waqif, and he is also empowered to remove the mutawalli at his pleasure. regard, the waqif will be understood to have meant that they should not act individually, and hence the hakim will appoint another person and make him join the existing one (al-Mulhaqat and al-Tanq'ih). It has been narrated in Fath al-Qa~ir from Qadi Khan al-Hanafi: Where the waqif grants the wilayah to two persons, if one of them provides in his will that his companion is entitled to exercise his wilayah over the waqf, after he dies it becomes valid for the person al*e to exercise wilayah over the whole waqf. 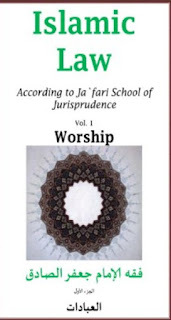 The author of al-Mulhaqat observes: if the waqif provides a part of the benefits of the waqf for the mutawalli, the same will hold good irrespective of whether it is a large or a small amount, and if nothing is provided, he will be entitled to the compensation for a comparable job (ujrat al-mithl). 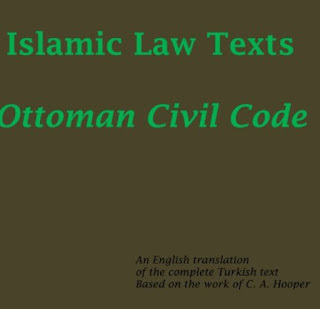 This is in concurrence with what Madkur narrates in Kitab al-waqf regarding the Egyptian law. The schools also concur that the mutawall'i is not empowered to transfer the wilayah after him to another person where the original prohibits it. Similarly, they concur upon the validity of his delegating the wilayah to someone else where he has been authorized to do so. But where the wali has made no mention of this issue, either affirmatively or negatively, the Hanafis hold that he is entitled to do so, while the Imám;, \anbalí , Shafi'; and Maaliki schools consider that he is not so entitled~ and if he does delegate it, his act is null and void. There exist in our times `ulama' whose greed for mundane things equals Imám 'Ali's love for his faith. Hence, they give the wilayah over the waqf in their hands to their children and then to their grandchildren and so on till the day of resurrection. They hide their intention by using the words "...the most capable in order of capability from this lineage. " such a person have knowledge of the future through which he knows that the most capable among his descendants would be better for the cause of Islam and Muslims than the most capable individual from someone else's descent? 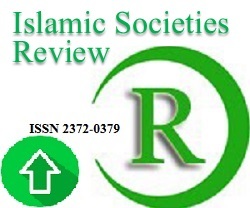 Consequently, why doesn't this `alim take a lesson from the rift he has observed and witnessed between the children of the `ulama' and the people of the place where the waqf exists, as well as between the children themselves in determining 'the most capable', and their even tually concurring over the distribution of waqf as if it were inherited property?